AVID is Hiring - Ready to Launch Your Career in Sales? For the past 13 years, AVID has been growing at an explosive pace. From our first office in Boston, we’ve expanded into 12 offices spanning from coast to coast. AVID now has IT recruiters working in Boston, California, New York, Rhode Island, Texas, and Iowa. Even with all this explosive growth, though, one thing hasn’t changed: AVID has kept our team-oriented, work hard, play hard culture. 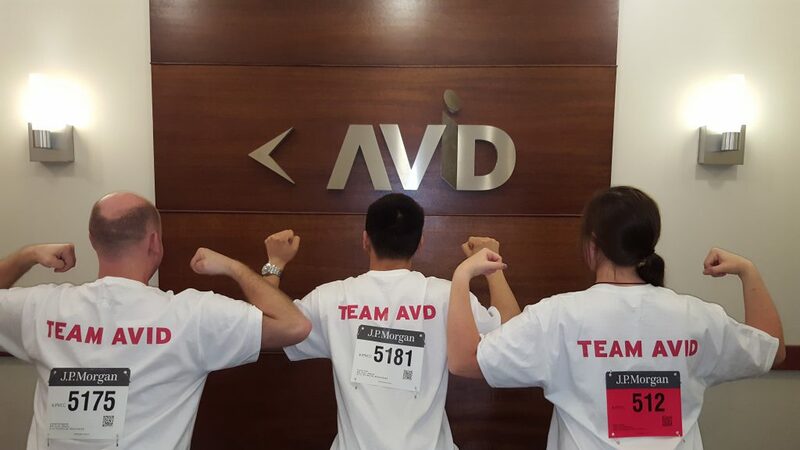 Work as a team: Everyone at AVID is team-oriented. We reach our goals together, even if we’re having a friendly competition. We provide extensive training and pair new hires with mentors. Managers are deeply interested in feedback from employees and their doors are always open. To read more about this, check out our Glassdoor reviews here. Work hard: Our technical recruiters work hard to meet their goals, and they get to see their efforts reflected in their paychecks. AVID provides one of the most competitive commissions plans in the IT recruiting firms industry. Additionally, our recruiters enjoy solid base pay, vacation time, sick time, and a benefits package. Play hard: AVID recruiters don’t just work hard, though. They play hard, too. When we hit our goals, AVID celebrates together. Every office has a TV that we use to recognize people’s accomplishments, run contests, and share company announcements. We have team outings to casinos, bowling lanes, beach houses, and more. We also do happy hours, birthday celebrations, and bagel breakfasts. If you’re ready to catch on with one of the fastest-growing IT recruiting agencies in the country, check out the list of requirements below. Email careers@avidtr.com with a resume attached if you’re interested. – You are interested in sales. – You prefer to be surrounded by a team. – You have a work hard and play hard mentality. – You are looking for a company where you can make an immediate impact. This entry was posted on Friday, October 28th, 2016 at 7:45 am and is filed under Who is AVID? . You can follow any responses to this entry through the RSS 2.0 feed. Responses are currently closed, but you can trackback from your own site.